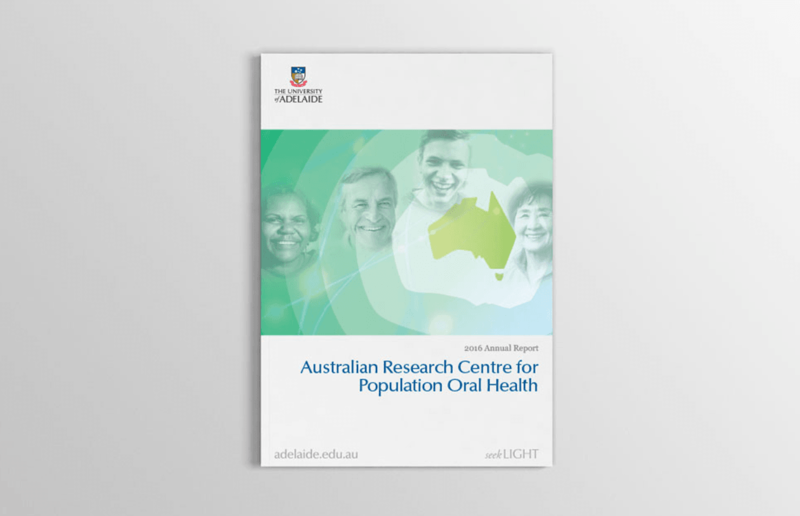 For more than 10 years Arris has designed the annual report of the Australian Research Centre for Population Oral Health (ARCPOH). 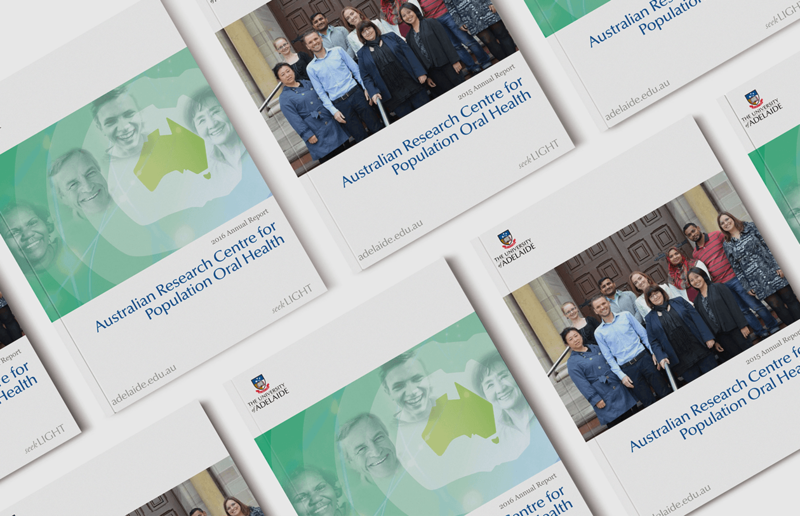 Each year we’ve successfully combined images and text to illustrate major projects, achievements and research outcomes for the centre. 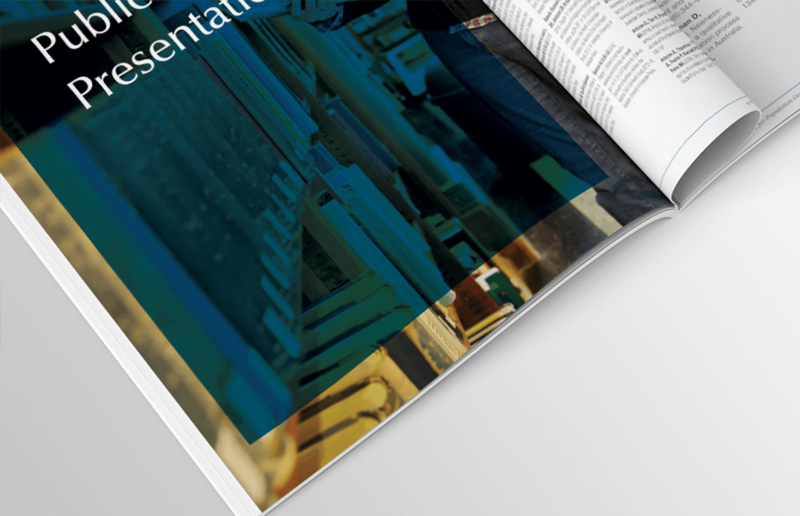 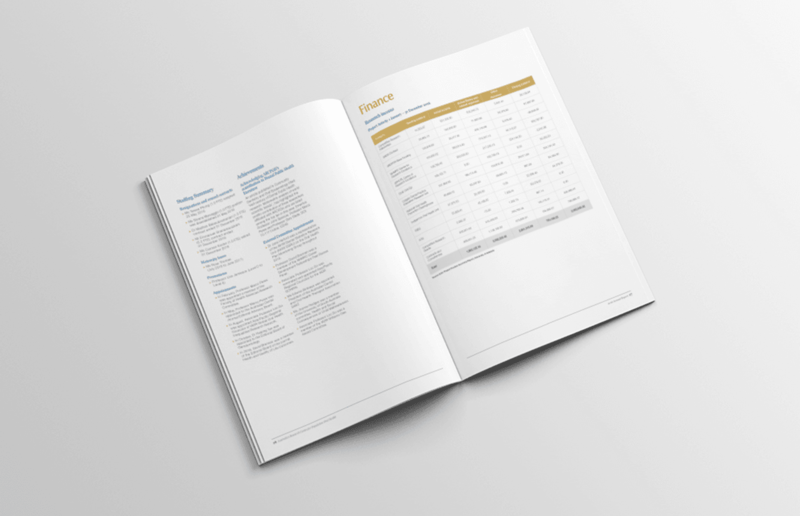 As part of the School of Dentistry, this publication follows the branding guidelines of The University of Adelaide.